At Smith Steelworks, we design custom laser cut park signs for cities across the United States. 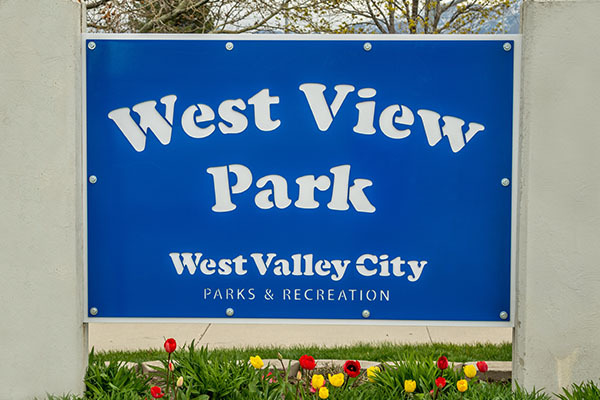 Each park sign is available with weatherproof finishes, custom design options, and a wide variety of installation options. 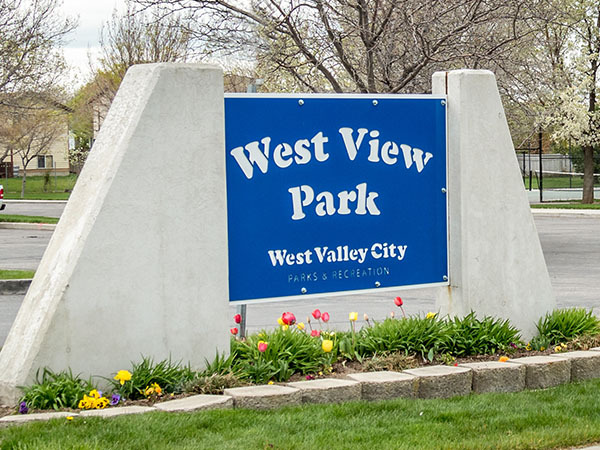 If your community park is in need of a new, updated metal sign, give us a call today at (801) 414-1724. We are excited to work with you! Before we get started with your metal park sign, be sure to send us your ideas. By sending us Word Documents, logos, and photos, our designers are able to bring your ideas to life in a creative way. Our design team will take your ideas and create a mockup. This will incorporate how the finished park sign will look. It will be emailed to you for final approval before the sign is sent to be laser cut. 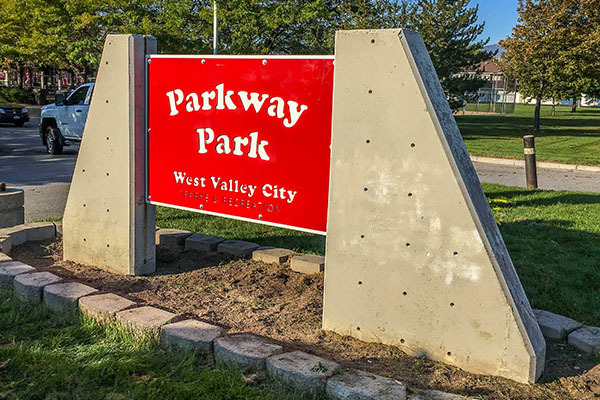 The park sign is laser cut from a single sheet of metal. Depending on the style, a backing plate might be added. A finish is then applied to the park sign. The sign is then packaged up and shipped to you. 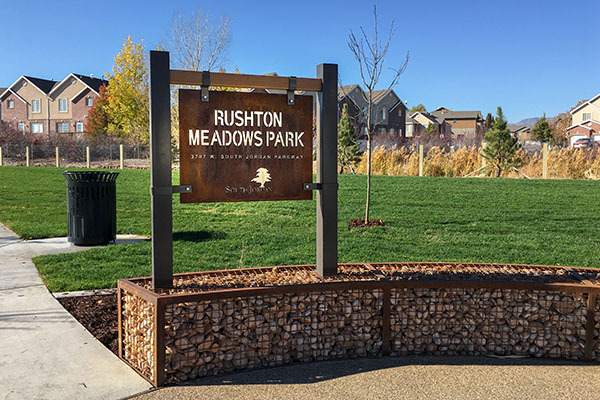 Each park sign is available with a powder coating finish (or a rustic) that prevents the sign from weathering. Powder coat is twice as thick as the average paint color and more durable. The coating protects the bare metal from rust and corrosion, chips and flakes, and sun fading. 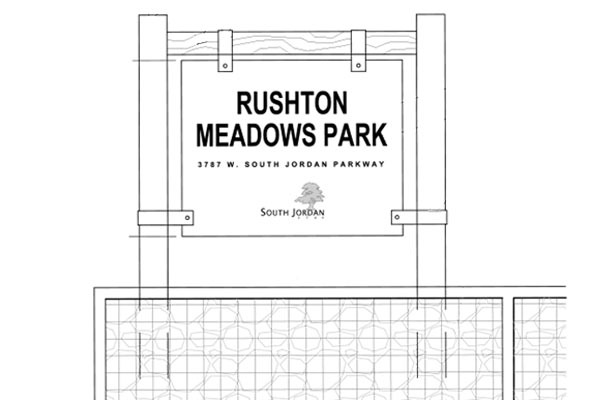 Our designers create custom park signs for each city with custom layering options. This includes separate powder coated metal sheets that can be layered together for added dimension. We also offer recessive or off-stand options. 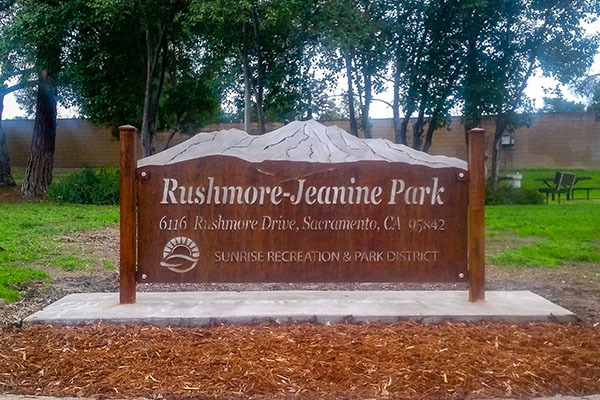 Are you in need of custom installation options for your park sign? 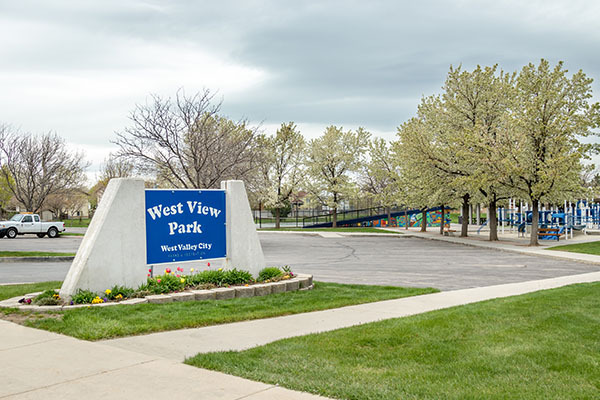 At Smith Steelworks, we offer a variety of park installation options. 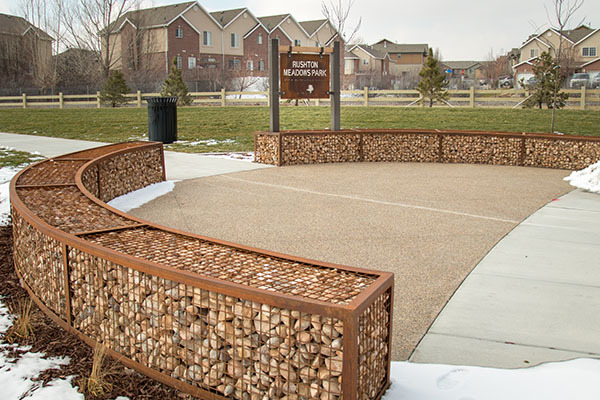 For example, we have casted signs in cement, welded onto steel columns, custom gabion baskets, etc. 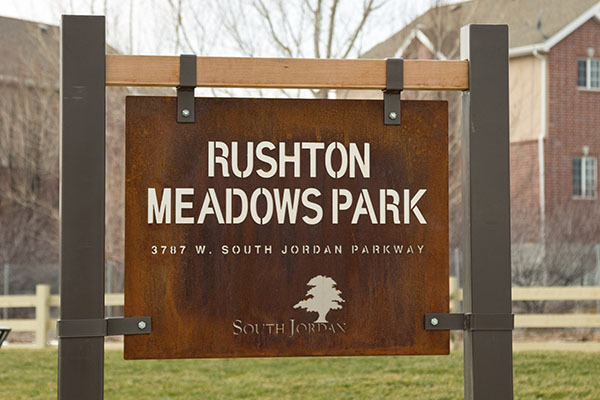 Call us today at (801) 414-172 to get started on your laser cut park signs. 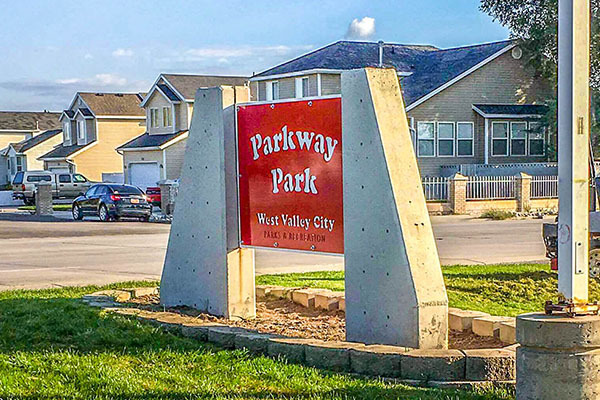 The metal park signs are designed to compliment the surrounding areas with custom color options and designs. Rustic park signs have become one of our most requested finishes. It adds a unique touch to the community. Want to make your laser cut sign stand out? Add a bold, vibrant powder coating color like Hammertone Red. 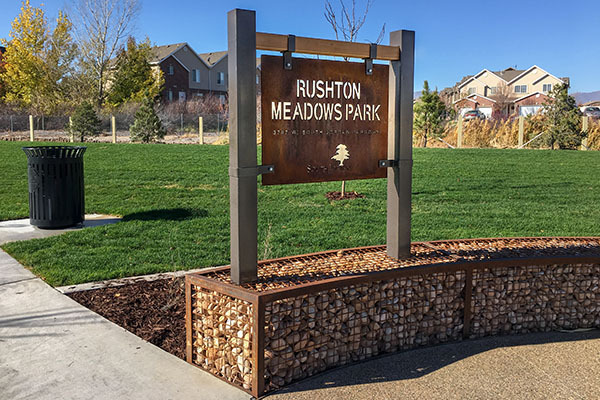 Our design team is capable of creating personalized signs that will work with your community’s installation needs. Some of our best designs come from the surrounding areas including local mountains, lakes, and landforms. Bangel Blue is a vibrant powder coati that provides an excellent finish for the city park sign. It also prevents rust. Incorporate your city logo into the custom laser cut park sign; adding a sense of home, community, and togetherness. We don’t just manufacture the park signs. We are also capable of creating gabion baskets and other custom products. Freshen up your neighborhood park with a new park sign. The powder coat finish keeps the metal clear of rust, corrosion, chips, and scratches.